This is a traditional one-line slot machine. 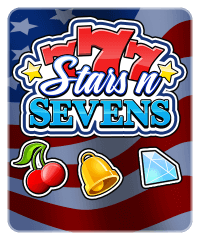 It’s got all of the elements you expect from a traditional, casino-style slot machine: bars and 7 symbols and both traditional ambient casino sounds and slot machine noises. 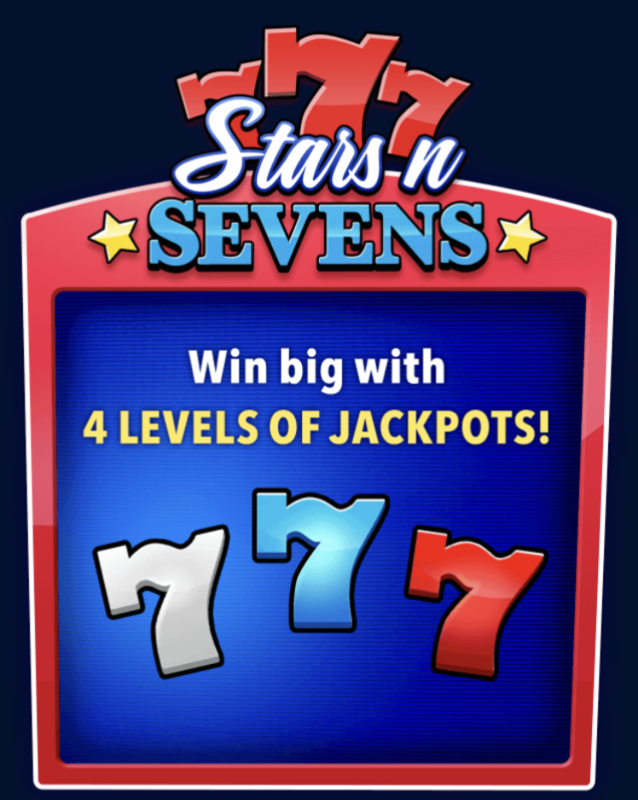 the added bonus of four levels of tiered jackpots for spinning all 7s. 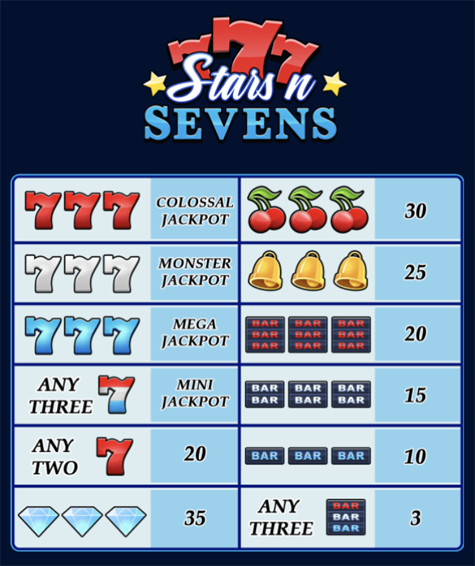 Depending upon which 7s you spin you’ll win a jackpot: a mix of colors for Mini, all blue for Mega, all white for Monster, or all red for Colossal.